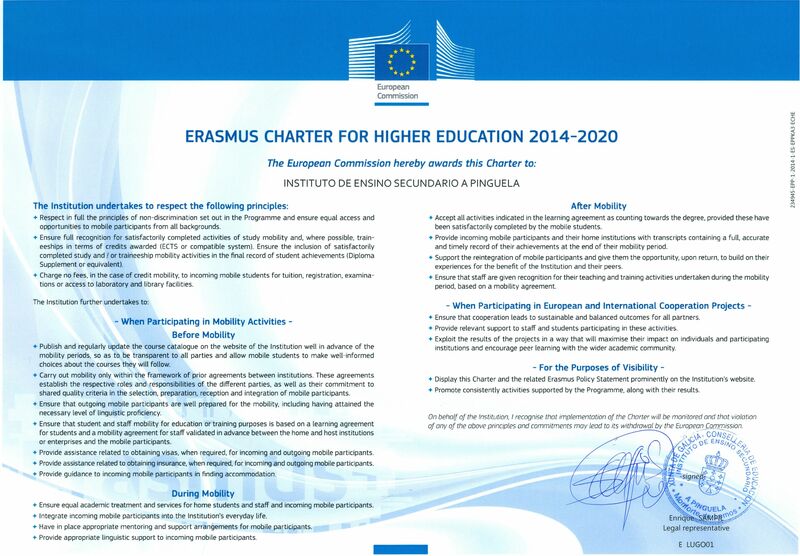 IES A Pinguela has been promoting student mobility for traineeships since 2004-2005, funded by Leonardo da Vinci-phase II, LLP-Erasmus and ERASMUS+, cofunded by Consellería de Educación – Xunta de Galicia, having managed 46 mobilities coming to more than 115 months duration. Host countries are UK, Ireland, France and Germany. Mobility projects for 2006 and 2007 under LdV-II were awarded as finalist on the annual quality contest organized by OAPEE. Are you a vocational training student? Are you a higher vocational training student? Are you a staff member ?